What would a school look like if it was designed with human biology and best learning practices in mind? According to the leading minds in educational and learning research, we would sleep more and move more. We would have more time to process and to think. We would be disconnected from devices and more connected to each other. Here is the Globe’s deep dive into the pillars that could make “A More Perfect School”. All statistics shown are a result of a digital survey sent by the Globe to assess students’ sleep, homework and stress which had 301 responses. On Sept. 7, 2018, California lawmakers enrolled a bill that would mandate most school start times in the state be pushed back to 8:30 a.m. Currently, the bill is awaiting a signature from California Governor Jerry Brown. If it is approved, it will allow schools a maximum window of three years to adjust their schedules. In 2014, the American Academy of Pediatrics classified school start times before 8:30 as “a key modifiable contributor to insufficient sleep, as well as circadian rhythm disruption, in [teens],” and additionally identified insufficient sleep as a public health issue. Yet, Portantino’s assertion that teens are biologically predisposed to be repelled by early school start times is backed by research that was conducted over 20 years ago. “Before the 1990s, we didn’t realize that during the years of puberty, teens experience a later shift in their sleep cycle,” said Stacy Simera, a practicing mental health counselor and volunteer for the non-profit organization Start School Later. Simera, who has her bachelor’s degree in psychology and her master’s in social work, offers private counseling to teenagers, college students and adults for a range of mental health issues varying from depression to PTSD. 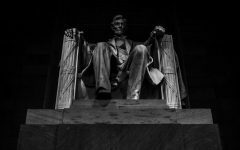 She began advocating for later school start times after observing the effects of insufficient sleep on her patients and her two young sons. As a volunteer staff member for Start School Later, Simera researches the effects of sleep on teen mental health and uses her knowledge to encourage schools in Ohio––and across the nation––to adjust school start times to sync with teen sleep needs. Start School Later has chapter leaders around the US that are pediatricians, psychologists, other social workers, counselors, physicians, sleep medicine specialists and other parents. The national non-profit started because it has been hard for local schools to do it all on their own. To most people, it is obvious that lack of sleep has the ability to stunt mental functions and decrease productivity. Yet, according to Simera, those who are not experts in the subject tend to grossly underestimate the potential consequences that come with systematically depriving teens of the appropriate amount of sleep. Especially in terms of mental health, insufficient sleep is a simple factor that can have detrimental repercussions. In addition to suicide, insufficient sleep has been concretely linked to early substance abuse, increased risk of car crashes and severe sports-related injuries. Based on a study by the American Academy of Pediatrics, athletes who slept the appropriate eight to 10 hours per night were 68 percent less likely to be injured than their peers who slept less. Sufficient sleep not only has the ability to prevent harm to students; it can also significantly improve their overall academic performance, a finding which has encouraged many schools across the nation to stagger school schedules in order to accommodate the needs of students of all age brackets. Recently, in response to this research, Duke University banned any classes that would take place before 8:30 a.m.
CHS psychology teacher David Aiello explained that, in an ideal world, changes to the high school schedule would be much more drastic. “If the school system was set up for students, we should be starting school around noon. And ideally we’d go from noon until 6:00 or 7:00 p.m. with classes, then we’d do all the after school activities until 9:00 or 10:00 p.m., then you guys would be able to do school work from midnight to 1:00 or 2:00 a.m., then you go to sleep around 3:00 a.m.. And then you’d be sleeping until 11:00 a.m.. That seems to be the biological rhythm scale that most late-adolescents are in. Once teens hit puberty, their natural biological schedule changes. Trying to go to bed at 10:00 or 11:00 p.m. is really difficult because your biological rhythms tell you that you’re still active and ready to do things. And so the schedule is made out for adults in society, it fits with when adults want to be waking up and their working schedules. If parents have to be up and going to work at 8:00 a.m., then the kids have to be at school at 8:00 a.m., because you can’t leave your 7-year-old at home to get themselves going in the morning. So the school system is set up for the adults, and I don’t see a realistic possibility of that changing, unless the way we do school completely changes,” Aiello said. Yet, Simera said, high school students could benefit greatly from the start of the school day simply being moved back to 9:00 a.m. or a bit later. 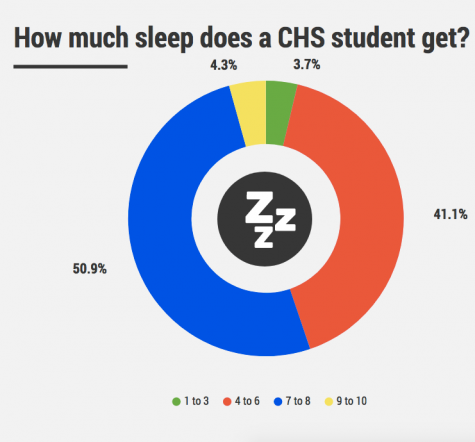 At CHS, it is unrealistic for students to be expected to go to sleep earlier in order to catch up on rest, a fact which can be attributed to Clayton’s focus on academic rigor. “The amount of stress and the amount of homework and the amount of classes and the amount of extracurriculars and all of those other things that pile on top make it so you can’t just shut it all down and go to bed at 11:00 p.m. and wake up at 7:00 a.m. well-rested,” said Aiello. There is no question that increased amounts of sleep are overtly beneficial to the health of the teenage mind. It is also well-known that regular exercise is equally necessary to mental health. And the two are not mutually exclusive. “[Exercise] makes you a better sleeper. It’s kind of a misconception that exercise will keep you awake, it’ll keep you alert, that you won’t be able to fall asleep, when athletes or people who are physically active during the day sleep better than people who aren’t,” CHS Health and PE instructor Sarah Hartman said. It is no surprise that exercise has many biological and mental benefits to the human body, a fact that causes many teachers in various fields to question why more steps aren’t being taken to increase the amount of movement an average student has in a day. Although CHS and most other high schools across the nation either offer or require at least one form of a 45 minute physical education class, Hartman argues that more steps could be taken to maximize the benefits of physical activity within a school day to satisfy the recommended amount of exercise performed in a day. “[The recommended amount of exercise] is 60 minutes a day for children and teenagers in high school. And so they say 60 minutes of moderate to vigorous physical activity, which is sometimes abbreviated as MVPA. That means that your heart is racing, you’re getting into your target heart rate zone, you’re sweating, your breathing rapidly, and so you’re actually getting a really good cardio workout. . . So I would arrange it so that there were active movement breaks during the day. I think there’s a lot of importance to getting that 60 minutes of physical activity, whether that’s done through PE, and then some outside of school, but I think there also needs to be built in breaks during the day, where it’s a teacher creating an activity for their students,” Hartman said. This short-break system has been implemented in several schools around the U.S. already, with each classroom operating under a specific ratio of work to break time, in which students work for the majority of class time, with short five to 10 minute breaks of movement every 30 to 40 minutes. The belief is that while consecutive minutes of learning have decreased, the amount of information that students receive in the shorter amount of time will be better retained after a short break, thus maximizing the allotted time in which students are actively learning. Many schools have shied away from this system because they believe these breaks will merely serve as a time in which the brain will be dormant as students whip out their phones or catch up with friends. 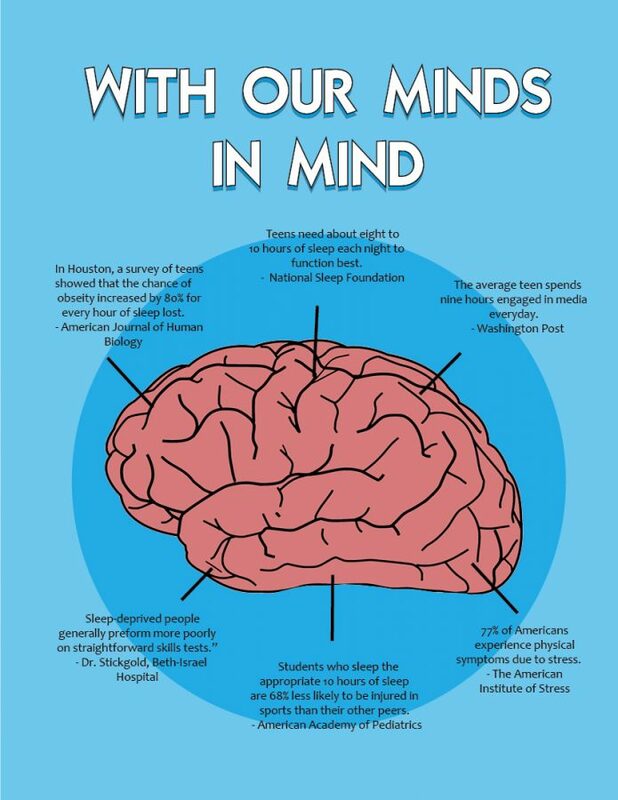 Conversely, research has shown that, especially in the presence of movement, the brain is in reality very active during times when it is not actively focusing on learning because the brain is processing and storing information received during the concentrated period of learning. “Some people don’t like to call them brain breaks, because they said that your brain actually isn’t taking your break. Your brain is actually firing like crazy. But I would love to see like school wide activity breaks that are in in the school day where no matter what classroom I was visiting, every single student in school is doing something active for five to 10 minutes at that designated time,” Hartman said. Hartman believes that if this short-break system of movement is implemented, students will experience staggering academic and emotional benefits both during and outside of school. Hartman echoes the sentiment of many high school students participating in sports that often dread going to practice, but emerge in a much better mood afterwards because of endorphins released during this time of activity. 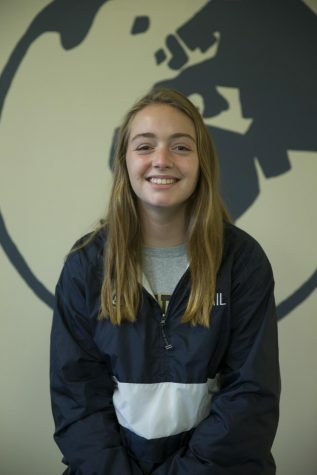 CHS Junior Sara Litteken participates in varsity basketball and varsity soccer in the winter and spring seasons, and has observed positive changes in her mood as an effect. “Exercising is a great stress reliever for me because I tune everything out and just do my own thing or work with a team. Also, when I have a really good workout and really push myself I feel like I accomplished something that day and it feels more productive than days I don’t workout,” Littiken said. 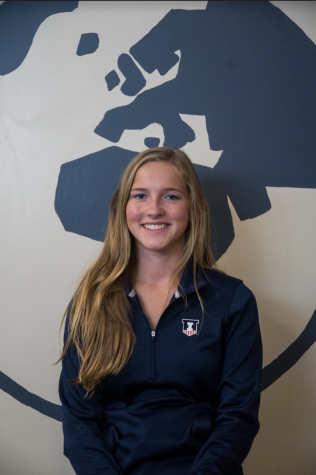 Although, unsurprisingly, sports take up large chunk of her available time after school to complete homework, Littiken claims that within this shortened amount of time, she is able to accomplish more due to sharpened focus and drive. 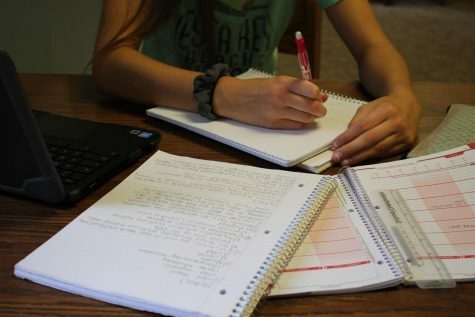 “Sports do make it somewhat difficult to complete my homework just because they take up time and sometimes I get antsy when I sit down to do homework after a game or practice. But at the same time, I think exercising helps me focus after I sit down for a little bit because my mind has had a good break from studying,” Littiken said. 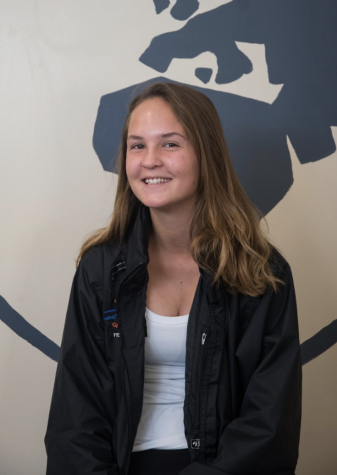 CHS Junior Brooke Becker participates in diving, volleyball and soccer during all three seasons, and shares the sentiment of reduced stress as a result of her packed schedule. 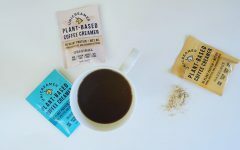 “I think that when I am active I am usually in a better mood and I am able to focus better than I would without,” Becker said. So how could we organize a school day that would positively benefit students’ mental health? Hartman and Simera have some ideas. One way to reduce students’ stress would be to implement a system of short breaks during an allotted period of active learning, at which time the brain could process information just received and become better prepared to absorb new information. Such methods have been proven to increase overall retention of material and reduce anxiety associated with prolonged mental strain. In terms of increased sleep, Simera said, shifting the school schedule is a simple matter of community organization and drive to make a change. From there, creativity and unity of the school board have historically had the ability to facilitate the switch. There are many strategies that American schools have devised in an effort to make room for later high school starting times. Some districts choose to stagger the schedules of their elementary, middle and high schools, so that the teenagers who require the most sleep begin the latest (preferably around 9:00 a.m. or 10:00 a.m.) while the elementary school students might start an hour or more before. Others organize teacher planning periods so that adults can arrive at school at an appropriate time for their biological predisposition, while students arrive at a later time. In today’s society, the advance of technology is associated with the advance of modern education. More and more schools are supplying students with their own devices, such as iPads, laptops or Chromebooks. These one-to-one initiatives allow students to access the internet, digital textbooks and other course materials, both throughout the school day and at home. 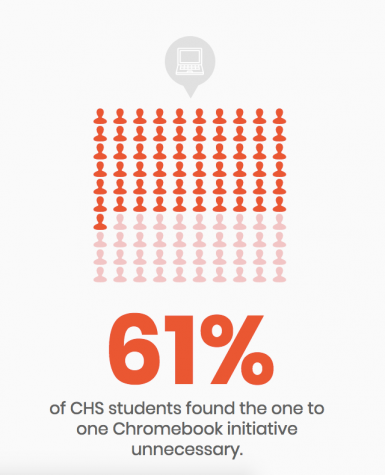 This fall, CHS instated a one-to-one program, supplying each student with a Chromebook. The student collects the device at the beginning of each year and returns it after second semester, receiving the same device each year. Gene Gladstone, CHS educational technologist, explained that the school’s introduction of a one-to-one program was justified by an extensive district-wide study on technology. While some have questioned the introduction of the Chromebooks into daily CHS life, junior Kate Lay appreciates the new tool. 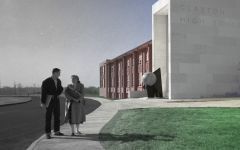 As Clayton moves in the direction of technology, other schools are doing the opposite. Waldorf School in Silicon Valley, California, has banned technology. Some of the students that attend this offline school include the children of the chief technology officer of ebay, and children of employees of Google, Apple and Yahoo, according to a 2011 article in the New York Times. This creative, hands-on school which has a demographic similar to that of CHS has banned all screens in classrooms, and even frowns upon them at home. Closer to home, St. Louis’ own John Burroughs School has a similar philosophy. While technology is not banned completely, JBS regulates student use of technology strictly. 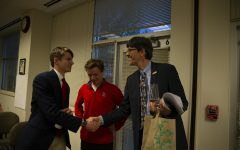 Burroughs’ director of academics, Christopher Front, spoke on the private school’s unique policy. According to a study done by the Pew Research Center, 95 percent of teens report having or having access to a smartphone, and 45 percent admit to being online almost constantly. Technology was never banned suddenly at JBS; it simply has never been introduced the way other schools have pushed one-to-one programs. They often reevaluate their decision, asking themselves what is best for the learning and social health of students. This non-traditional learning method isn’t accepted by everyone, yet JBS insists that their method creates a safer and healthier environment for their students to learn in. One such concern is preparing students for college and their lives after school. Technology is sweeping the country, and being proficient in that area could make or break a career. CHS economics teacher Daniel Glossenger worries that removing technology from curriculum could do more harm than administrators might first realize. To try and combat this concern, JBS teaches computer skills to its students in order to ensure that this will not be an issue. “Over the years, some adults have been concerned that our students will be unprepared for college tech use, but our surveys of our alums have not revealed that to be the case. To be sure, we have revamped our computer science curriculum, though, so that our students possess the necessary skills to use computers for their educational needs,” Front said. 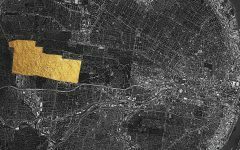 As the world continues to change, Burroughs stays open to change as well. They continuously rethink their program, ensuring that proper research is done in order to best help their students. Burroughs junior Sarah Herbster recognizes how learning in a place where laptops and cell phones are regulated has helped her. When she started her school search back in middle school, she toured schools with both regulated technology and a one-to-one program. 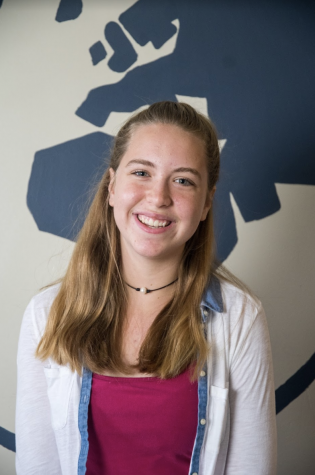 The learning style at JBS helps Herbster learn in a way that promotes a way of thinking that engages her. She is motivated by the face-to-face learning taught there. “At Burroughs, students are always engaged in the discussion and taking notes, instead of looking at a computer. You get a sense that everyone in the classroom actually wants to learn the material because they are so focused. 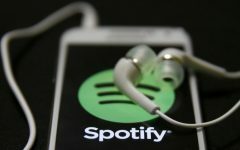 As someone who gets easily distracted, I feel like a computer would stop me from listening to the teacher and my peers,” Herbster said. Additionally, she doesn’t feel limited by the technology regulations. Aiello doesn’t think that such regulated technology is a practical and sustainable option for students growing up in 2018. Instead of regulating electronic devices, Aiello believes that students should learn how to respectfully use these devices in a safe way that benefits the education and mental health of students. In Aiello’s opinion, education is the answer to the problems that technology has the possibility to present. 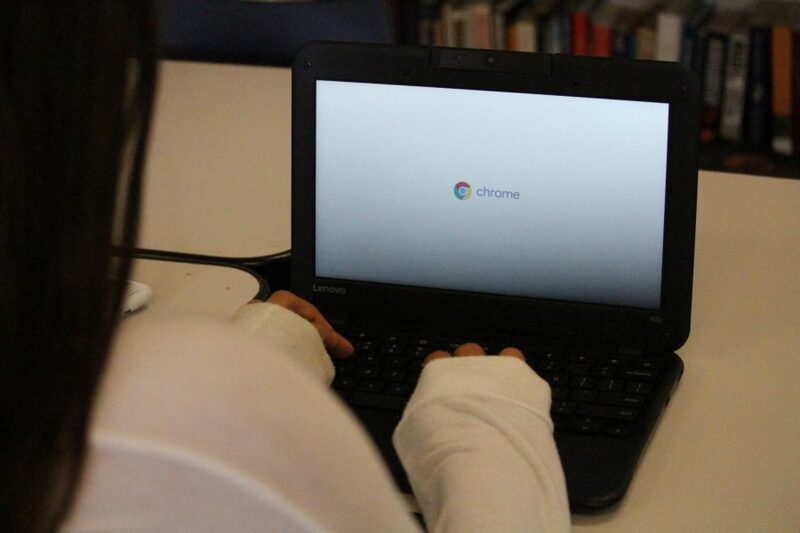 CHS students were issued individual Chromebooks this year as part of a new one-to-one computer policy implemented by the district, but many students did not find the new devices helpful. In addition to the challenges and benefits of technology in an educational sense, social media is emerging as a major aspect of the issue as more and more teenagers sign on every day. According to a study done by the Pew Research Center, 95 percent of teens report having or having access to a smartphone. And 45 percent admit to being online almost constantly. Although 31 percent of U.S. teens reported that social media had a positive effect on their lives, 24 percent said that it had a negative effect, materializing in the form of cyberbullying, lack of personal contact, distractions, addiction and much more. “We’re trying to find out if there’s correlation, but also causation, but we definitely see that kids who have a lot more electronics have a lot more stress and anxiety and other mental problems. 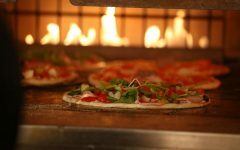 Does one cause the other…it’s also hard to say, ‘No, they’re not related at all, it’s just a coincidence,’” Aiello said. Aiello mentions added stress that comes hand-in-hand with social media. Ideas such as the “fear of missing out” and unrealistic life perceptions are expressed with social media. Likewise, social media can have negative effects in the interpersonal relationships of teens. In this day and age, face-to-face interaction is not as much of a necessity. CHS students are not unaware of the problem that social media creates. Although in comparison to JBS, Clayton may seem to have lax technology and WiFi regulations; however, restricted wifi throughout the Clayton school district has been a beneficial decision regarding the social media usage of students. If technology and social media can cause developmental and social roadblocks with high schoolers, junior high students presented with the same materials may be struggling even more. Mark Snyder, a guidance counselor at Wydown Middle School spoke on the issue. Considering everything that comes hand in hand with entering middle school, social media and technology add another layer of drama to the already dramatic lives of a pre-teen. 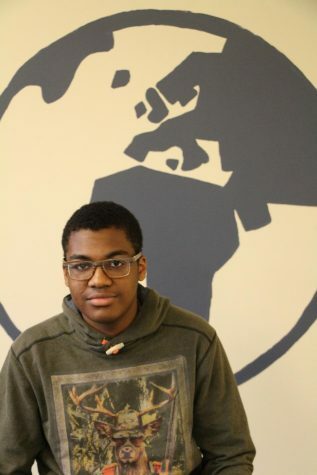 Some high schools like John Burroughs have implemented programs to reduce technology use at school, while others like Clayton have encouraged the use of technology through one-to-one programs. 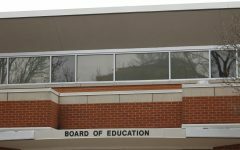 The chair of the John Burroughs School counseling and wellness department Jennifer Jones agrees with Snyder’s sentiment; thus supporting their schools policy of prohibiting cell phones during the school day, as well as regulating other forms of technology. The rules at JBS make it so that any cell phone use during the day, even during a lunch, free or passing period is not allowed. Laptops can be checked out in the library but they cannot leave the space and the use is monitored. Other computers without internet can be used for printing out papers. It is virtually impossible for a JBS student to access social media during the school day, which can give students a much needed break. “I’ve talked to some of the counselors and they would also say that in their experience it seems like there’s been an increase both in the number of kids having issues and in the depth of the problems that kids are having,” Aiello said. 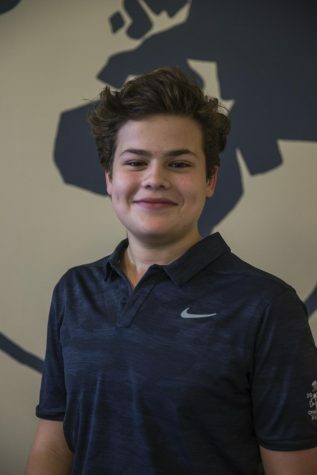 It often feels that stress is constant in the life of a Clayton student; trying to balance clubs, sports, homework and a social life seems nearly impossible at times. Despite the fact that sometimes stress is good (often referred to as eustress), there is a growing concern among high schools that students are feeling overworked and are living with excessive amounts of stress. A recent NYU study on high-performing teens reported that 49 percent of the 128 juniors they surveyed reported feeling a “great deal of stress” on a daily basis and 26 percent reported symptoms of clinical depression. Being in a stressful or competitive environment can often amplify those effects. 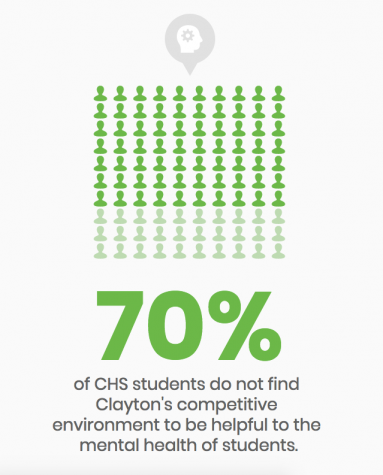 A survey of 300 Clayton High School students found that 85 percent believe that CHS has a competitive environment and that 70 percent feel that the environment was not helpful to the mental health of the students. When asked to rate Clayton’s environment on a 1-10 scale (with 10 being extremely stressful) around 60 percent of respondents found Clayton to be a 7 or higher. Metta McGarvey, an adjunct lecturer on education at Harvard University, specializes in integrating mindfulness and meditation to help people manage stress in their lives. 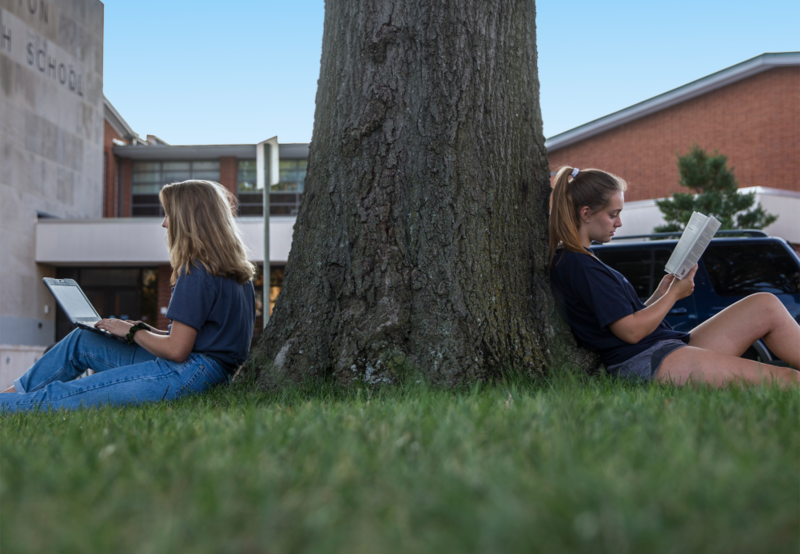 Even though an environment like Clayton’s has its benefits in increased graduation rates and more student involvement, the majority of students still believe that it isn’t helpful to their mental health. Clayton students often feel pressured to take more AP classes or join more clubs merely to keep up with their peers in college admissions. The short-term effects of living in an environment like CHS can be anything from sleep loss to the development of chronic anxiety, and in the long-term, the effects are even more daunting. Andrew Butler, an associate professor of psychological and brain science at Washington University in St. Louis, who specializes in the malleability of memory, says that the long-term effects of being in a high stress environment and losing sleep are considerable. Having enough sleep every night along with having breaks in the school day is important in the development of students. “The Self-Driven Child,” a book that focuses on motivation and stress of students, written by William Stixrud, Ph.D. and Ned Johnson, goes in-depth on the reasoning behind the work-rest-work cycle that humans thrive on. “In India’s ancient Vedic tradition it is said that ‘rest is the basis of all activity.’ Rest, activity, rest, activity. Everything we do requires this alternation. We see this in sports and fitness, where interval training has taught us that much of the benefit of exercise comes from the body’s recovery during rest,” write Dr. Stixrud and Johnson. One issue that is evident with the school system is the structure of rest. CHS intersperses 47 minutes of learning with four-minute breaks to get to class, along with a lunch period, which doesn’t truly follow the work-rest-work period that is suggested by learning psychologists. The brain, like any other muscle, not only requires a rest period, but this rest period is crucial for development and processing information. Unfortunately, most school systems, including CHS, don’t entirely support this philosophy. 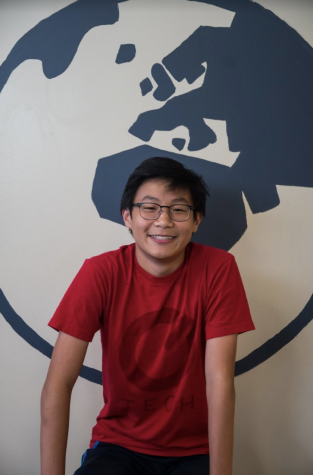 Counselors have pushed to ensure that every student have at least a lunch period, but in cases such as that of 2018 CHS graduate Owen St. Germain, who is currently studying Engineering at Boston University, that wasn’t true. St. Germain chose to go against the counselor’s suggestion and not have a lunch, an option allowed at CHS. After-school commitments also contributed to his stress level. Art teacher and designer Rebecca Hare suggests that one way to improve the academic environment for students is to start with the physical classroom space. After being a designer for 10 years and getting her M.A.T. in teaching, Hare was asked by a friend to help a teacher design a space. After that initial jump into educational space design, Hare was asked by a numbers of districts to help design spaces. Hare wrote a book to help teachers design spaces on their own. The element of choice in the classroom is essential to reducing stress. Accommodating for different types of thinkers and having different spaces to learn in can make each learner feel comfortable in their environment. Studies have also shown that having green space is a crucial way to reduce stress. Another element that is essential to reducing stress in the school is homework and class load. Homework can be useful in the school environment, but giving homework for the sake of giving homework is often unnecessary and creates an additional level of stress on students. Aiello says that he has disagreements with the way some teachers do homework. 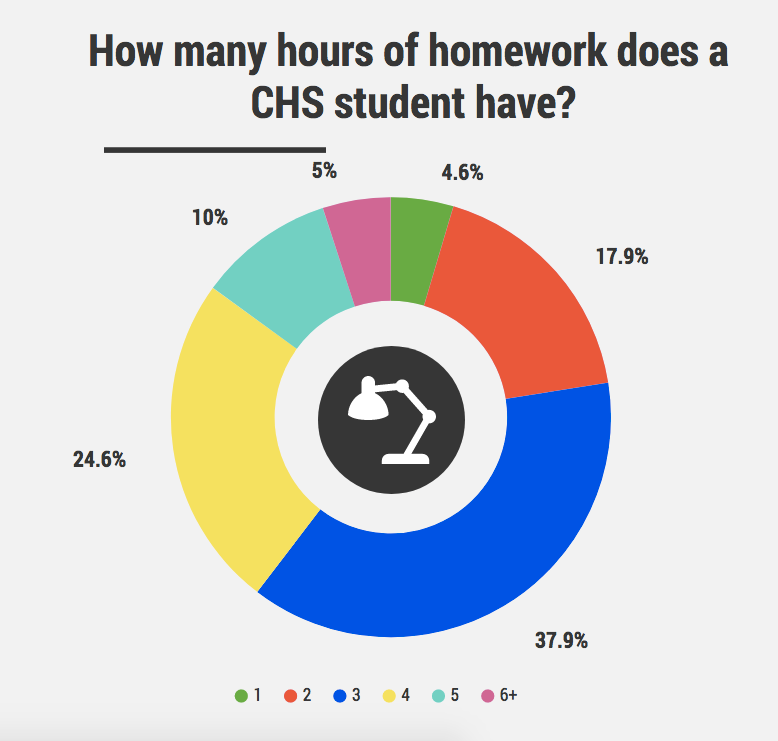 In short, stress is a major factor in the daily lives of CHS students, and a reduction in the amount of homework, or the opportunity to choose homework that will help students improve in the subject areas where they need more support would alleviate some of this stress. Why is it so difficult finding a rendering of a globe? The question was something along the lines of your kids and school. I was trying to find a globe and the answer to my question was to Kim: How do you think your children are going to feel when the other kids can find their names on a globe? Jokes on me, Siri can’t even find a globe!